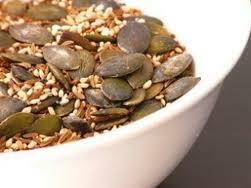 Lightly toast seeds separately in a medium hot oven or in a dry pan. Heat rice syrup in a saucepan, then add toasted seeds and mix well. Pour mixture onto a baking tray or greaseproof paper then allow it to cool before cutting into squares. 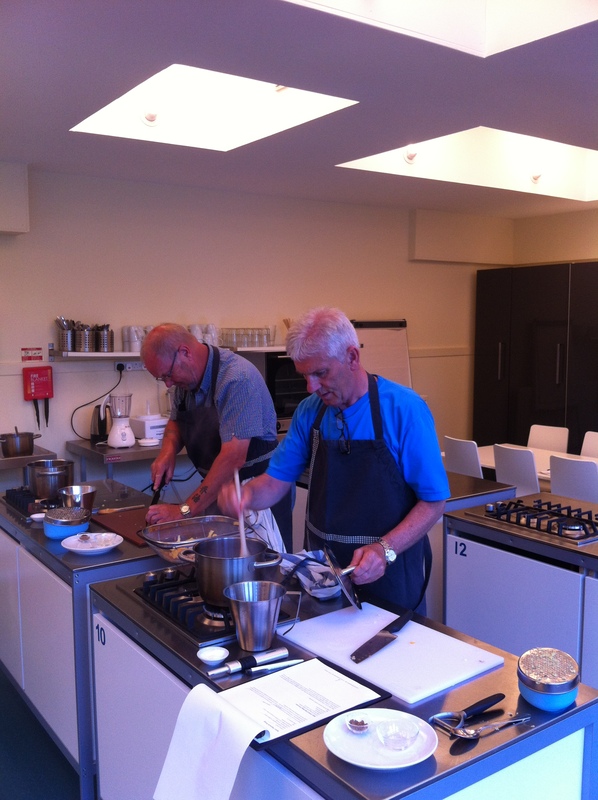 Tuesday night saw our first ‘Men’s Cooking to Survive’ class. gentlemen of the class went to their own cooking station to try them out themselves. The focus of the class was simple but satisfying and tasty dishes with an emphasis on basic techniques so that the students gain more confidence and can apply what they learned to other new recipes. We included knife skills, showing how to cut and chop safely and correctly. We had an assortment of different experience in this first class ranging from complete beginners to more confident home cooks. The class had plenty of handy tips and information for the more experienced cooks but is planned in such a way that it is foolproof and easy to follow for those less experienced. Once all the cooking is finished the guys retired to the dining room to eat what they had cooked, normally participants take some home with them but there wasn’t much left to go home on this class! A good sign. Debbie Flint from the shopping channel QVC joined us at Penninghame for our April Ultimate Health Experience. To read more about Debbie and her time at Penninghame click the link Debbie does cooking! Penninghame is delighted to announce that we are offering a fresh pasta class in the Cooking School in conjunction with Douglas Lisi. Douglas is a local “celebrity” chef who owns the Italian restaurant, L’Aperitif, in Stranraer with his family. 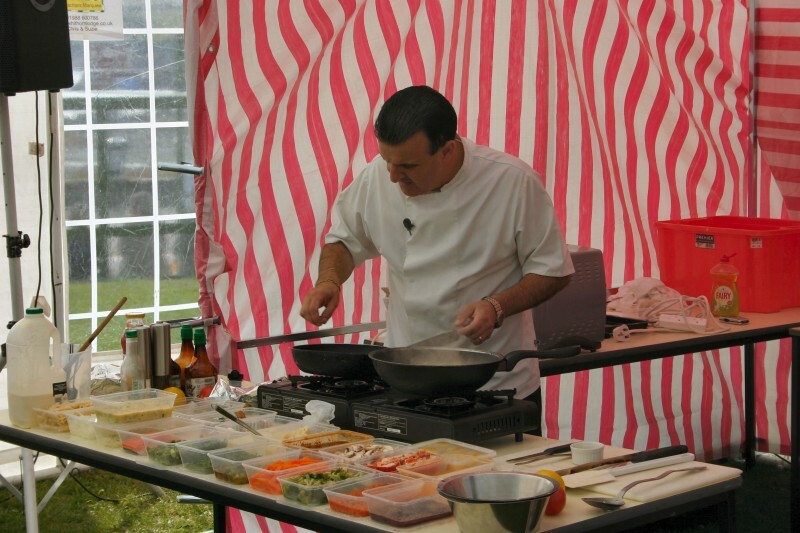 Douglas spends much of his time doing charity cooking demonstrations and also works with Dumfries & Galloway Council helping teach youngsters how to cook. 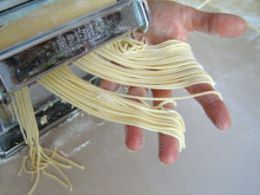 Our initial class is on Wednesday 13th June when Douglas will show how to make the perfect fresh pasta. He will take the class through the process of making the pasta dough, then to the resting, rolling and cutting the dough in preparation to cook. 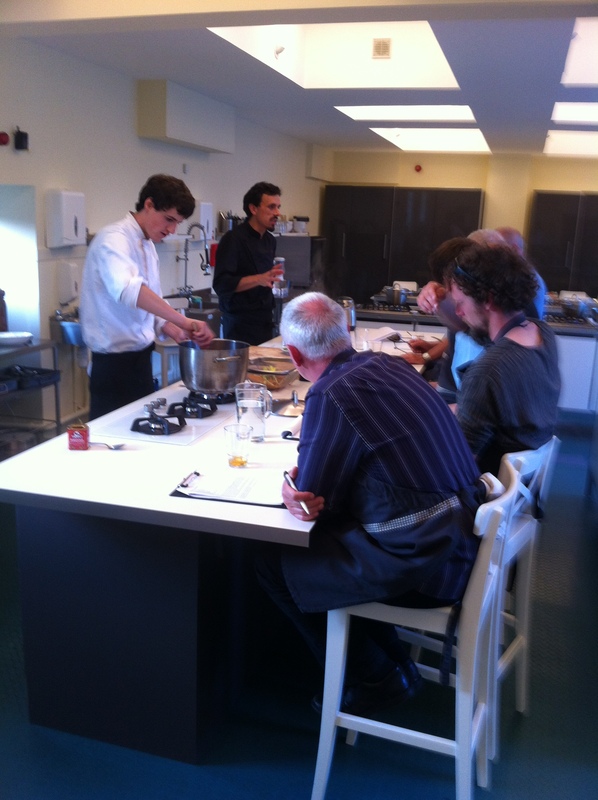 The class will make their own long pasta such as tagliatelle, and also have a go at making and stuffing ravioli. 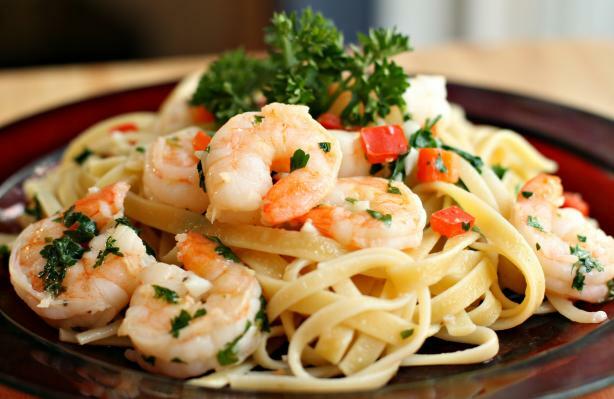 To complement the pasta Douglas will teach how to make some simple, fresh, healthy but delicious pasta sauces. Once all the cooking is over the class can retire to the dining room and enjoy the fruits of their labour with a glass of Italian wine! Class starts at 6.30pm finishes around 9.30-10pm and costs £35 per person. For more information or to book telephone 01671 401414 or email info@penninghame.org. 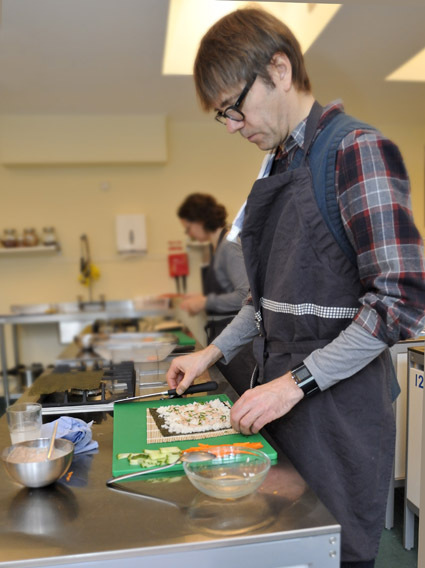 Other classes available include Cooking for Health & Vitality, Demo and Dine evenings, Italian Night, Fabulous Flavours for Entertaining, Curry night. 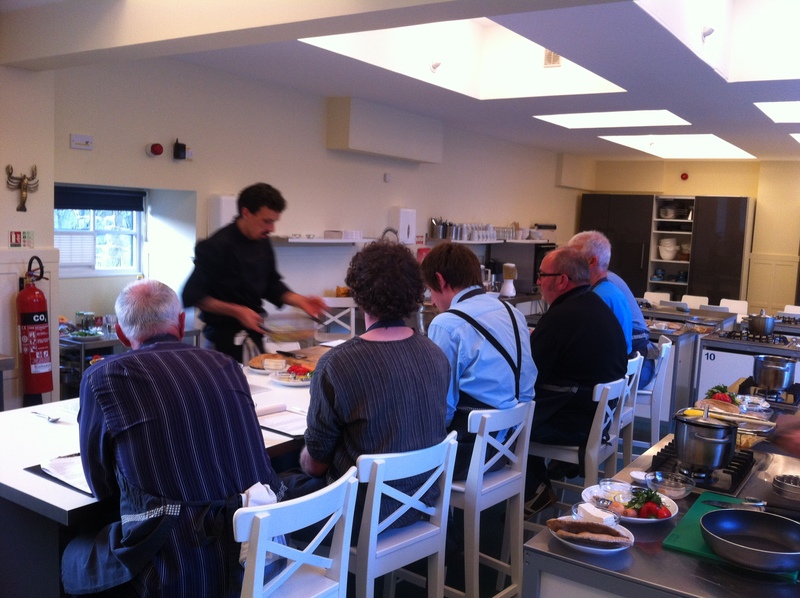 Penninghame House Cooking School is also available for private hire and private parties. 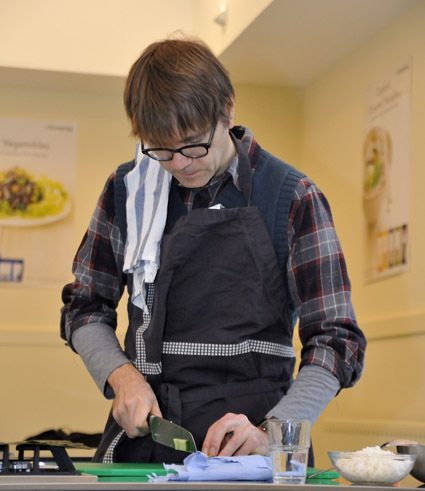 In November last year Jason Morris, who writes for the Sunday Telegraph’s magazine Stella, joined us for our Ultimate Health Experience programme. Jason was here at Penninghame for the whole week of the course and as you will see from his article he found it a transforming experience. Jason contemplating rolling his sushi! Marie has been busy this week! 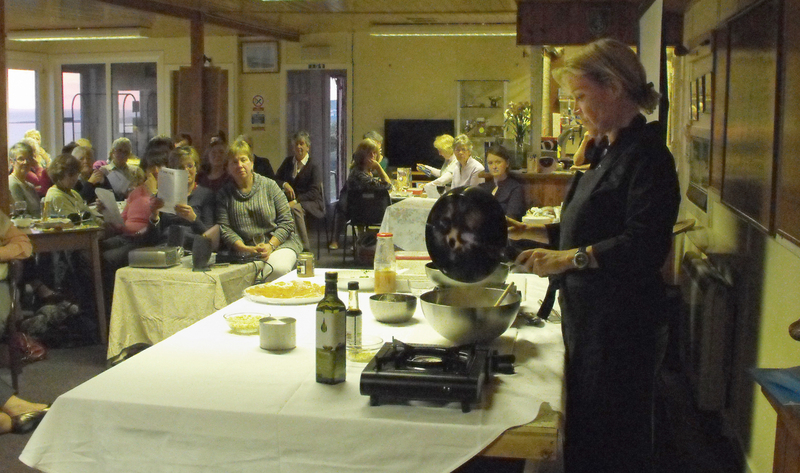 Thursday Marie was at St Medan Golf Club, Monreith giving a cooking demonstration and talk for the ladies of the club for their fundraising evening. The club had also invited Ann Barclay and “Jamie at Home”. The evening was a great success, the club made £776. Marie was busy after the demonstration talking to individual ladies about their own health and nutrition issues. The following day the local health food stores ran out of Rice Syrup! They couldn’t understand why so many people wanted to buy it! Monday, Marie was at Claire’s Hairdressing Salon where she gave a health talk and and answered questions from the ladies who had come along for a health and beauty talk. Claire gave beauty tips and talked about latest hair styles. In a heavy bottomed pot, salt the water and bring it to the boil. Meanwhile, toast your quinoa in a large pan until it begins to pop. Add the quinoa to the water before it is boiling to avoid it bubbling over, then cover and simmer for 30 minutes or until the water is completely absorbed. When cooked, leave to cool in a large dish. Once the quinoa has cooled a little, gently mix with the rest of ingredients in a large bowl with the chopped herbs and dress with some olive oil, the lemon juice, and the shoyu soy sauce. Place the thinly sliced smoked salmon on a serving plate. Put one coriander leaf on each piece of salmon then sprinkle the sesame seeds over. Mix the shoyu, lime, ginger juice and pinch of salt together. Pour the shoyu and lime mixture over the fish making sure that it is distributed around the dish evenly. Place the red onion in a bowl and mix together with the vinegar and a tsp salt then leave to stand. Bring a pan of water (approx 1ltr) to the boil then add lentils and cook for 20-30 minutes until tender. Meanwhile heat olive oil and gently fry the sun dried tomatoes and red pepper for a few minutes until they have just begun to soften then add garlic and salt and continue to fry for a minute or so. Drain the lentils and mix together with onions while still warm, then gently mix through the olives, sundried tomatoes, peppers, herbs, and cheese. Lightly toast seeds separately in a medium hot oven or in a dry pan. Heat rice syrup in a saucepan, then add toasted seeds and mix well. Pour mixture onto a baking tray or greaseproof paper, then allow to cool before cutting into squares. I cannot thank you enough for the amazing work you do, and the attention, love and gifts you all gave us. For giving me the chance to live a true, full life.